Touted as the world leader in tonneau covers, BAK Industries proves that it's possible to make a well-design, aesthetically appealing tonneau cover while still providing the coverage demanded by customers: durability, strength and extreme toughness. BAK offers the best of all worlds with 9 specially designed covers to meet the requirements of all customers. A more upgraded tonneau cover, this will provide you with the strength and style that you seek. 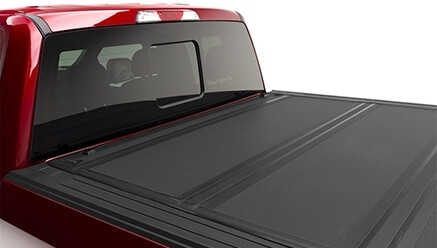 With its matte black finish and heavy-duty aluminum panels, you are guaranteed protection, security, functionality and style like no other truck bed cover has ever done. Plus, its no-hassle installation makes it even more worth it. The BAKFlip G2 is the best-selling tonneau cover on the market, and is the flagship of the BAK brand. Made with an all-aluminum frame and panel exterior, this tonneau cover can support up to 300 pounds evenly distributed. 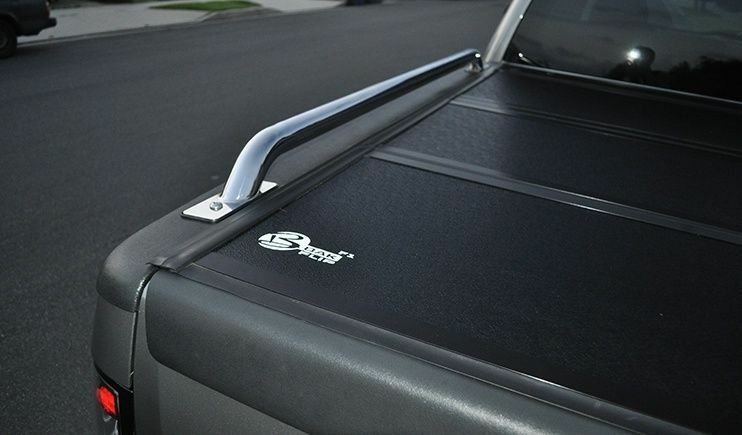 Manufactured and coated to be weather-resistant, this tonneau cover is easy to install and requires no drilling. The first of the best-selling BAKFlip product line, BAKFlip F1 boasts an aluminum underside panel exterior with FRP fiberglass top and aircraft-grade aluminum panel frames for maximum performance. 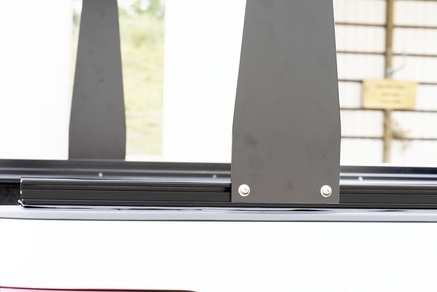 Just like its predecessors, this Tonneau Cover also features a flush hinge design for extreme weather protection and excellent rail design for perfect fitment. BAKFlip Fibermax is among the few Tonneau Covers granted by FMVSS-108 with an approval to be driven while open. It has rubber bumpers to protect your cab against impact and shifting cargo. Fibermax is a folding Tonneau Cover made from premium fiberglass material and aluminum framework that guarantees long lasting use. This Tonneau Cover can be operated on both sides of your truck for utmost convenience and accessibility and works perfectly with bed rails for functionality. 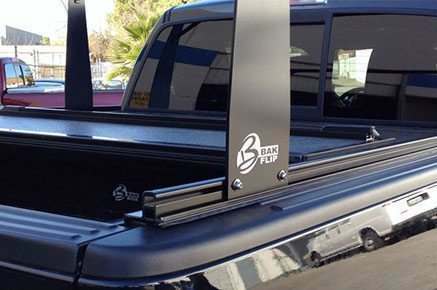 For heavy duty truck bed use, BAK Industries introduces the BAKFlip CS Tonneau Covers. 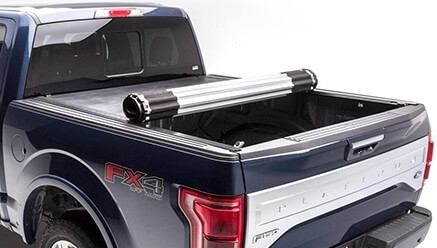 These rack integrated Tonneau Cover boasts a sliding rack system that will be enjoyed most by contractors, sport enthusiasts, and many others who wish to maximize the capability of their truck bed. BAKFlip CS allows loading of ladders, kayak, dry wall, etc. with its sliding load locks that provide optimum grip. The BAKFlip CS-F1 shares the same features with the BAKFlip F1+ integrated sliding rack system, which is the ultimate Tonneau Cover dream of enthusiasts. Combining the heavy duty design and fiberglass panel exterior construction, BAKFlip CS-F1 Tonneau Covers provide the best utility for pick-up trucks. Just Like the BAKFlip CS, the CS-F1 boasts sliding load locks (sold separately) and sliding tie downs (included) that securely hold your loads and cargo. 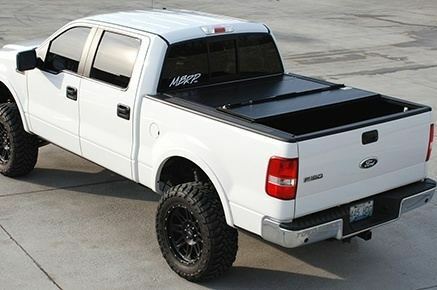 For those who prefer the roll-up type of tonneau cover, then this heavy-duty truck bed cover is a perfect choice. Covered with high-grade vinyl, you are guaranteed the best protection and security with this. 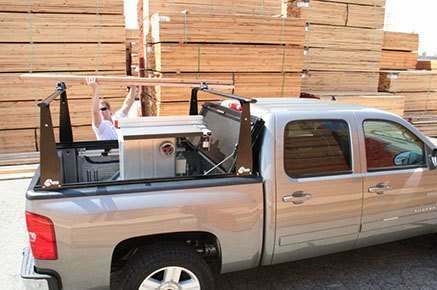 It also allows one-handed operation making sure that you can access your truck bed all on your own! 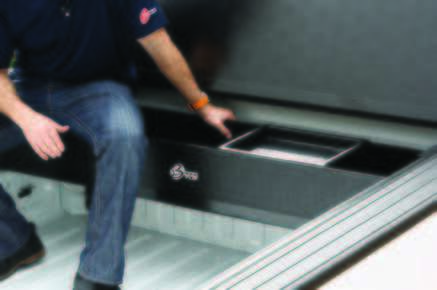 Maximize your truck's bed space; equip it with a BAKBox Tonneau Toolbox. The BAKBox Tollbox is the best accessory to go hand in hand with BAK Tonneau Covers. Aside from the additional storage space, this toolbox is specially designed to fold away easily when extra bed space is needed. Made from impact-resistant and rust-free materials, the BAKBox Toolbox is sure to provide functionality and convenience to truck owners. Haul more equipment or tools at the back of your truck. With this, you will have a tougher-looking truck and at the same time, you get to maximize the back of your truck. This also promotes better organization of your truck equipment and tools. Indeed, an additional truck part accessory worth considering! 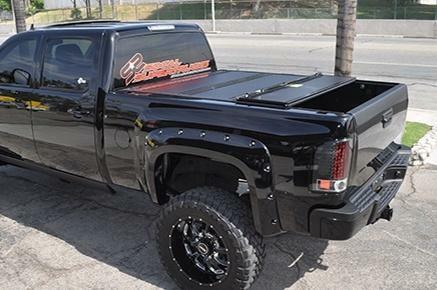 BAK Industries has taken the utility of pick-up trucks to the next level by manufacturing and distributing premium quality Tonneau Covers and other essential accessories. 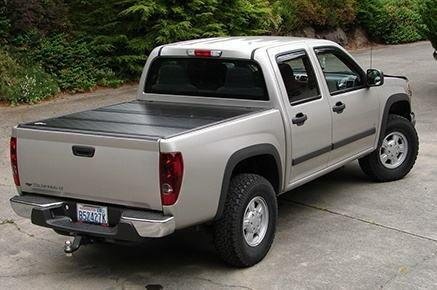 BAK Tonneau Covers are known to carry function and style simultaneously and designed to meet the standards of truck owners who wishes to maximize the use of their truck beds. Accessorize with style, use BAK Tonneau Covers and Truck Bed Accessories! For more information on BAK Industries, please visit the BAK Industries official website.